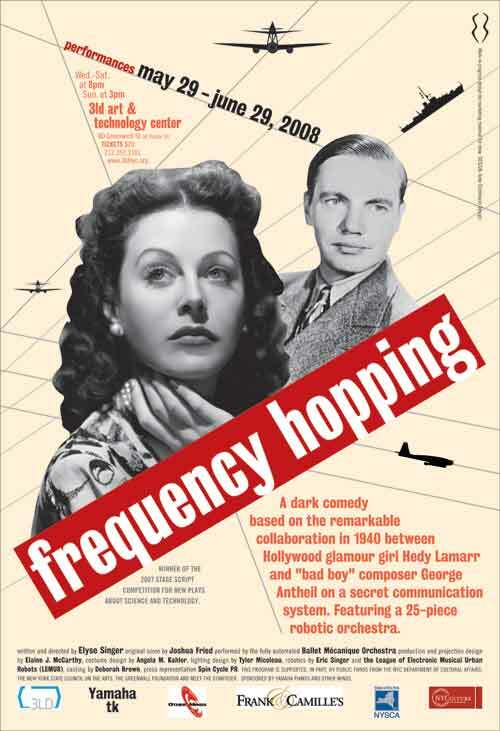 I'm off Thursday night to see the play Frequency Hopping. I'll let their excellent poster speak for itself, but it looks very cool. I think it features Eric Singer's LEMUR instruments, and also uses the Musion Eyeliner "Hologram" (Pepper's Ghost) technology. Oh, and I haven't listened to it yet, but apparently there was a piece on NPR Science Friday on the show.